Changes to the funding structure of the government’s mortgage arrears assistance scheme mean solicitors will have to show why they need a barrister for each case. THE LEGAL AID Board is to remove the automatic provision of funding for a barrister in personal insolvency cases as part of changes to the fees structure of the Abhaile scheme. Previously, anyone seeking a personal insolvency arrangement could avail of legal aid to cover the costs of a solicitor and a barrister to argue the merits of the deal. This included cases where the lender had rejected the proposal and the debtor lodged an appeal so that the court would assess the merits of the arrangement. Now, a decision will be made in relation to the provision of a barrister on a case-by-case basis. A debtor will still have the costs of a solicitor covered, but this solicitor will have to make an application seeking approval to the Legal Aid Board explaining why a barrister’s services are required. The board’s new terms and conditions state that it will only sanction payment for a barrister where it “considers that there are legal complexities that require the involvement of counsel”. Where there are other “exceptional circumstances” involved and the solicitor has provided full details of the circumstances. In an email to solicitors, seen by TheJournal.ie, the Legal Aid Board said certain changes to the Abhaile scheme and in particular the fee arrangements are to be made, “in light of the experience gained” in the two years of its operation. The move was approved by both the Minister for Justice and Equality and the Minister for Public Expenditure and Reform and the new terms and conditions and fee structure will take effect from 1 March. Earlier this week the Justice Minister Charlie Flanagan praised the success of the Abhaile scheme as he revealed that 95% of the personal insolvency arrangements negotiated under the Abhaile scheme in its first two years had kept people in their homes. A spokesperson for his department said the Legal Aid Board is continuing to provide legal aid for personal insolvency reviews. “The change made is merely to clarify that barristers will not be automatically approved in such cases. It should be noted that the vast majority of personal insolvency review cases are decided before the Circuit Court. There is no other area of civil legal aid where junior counsel is automatically approved in Circuit Court cases. 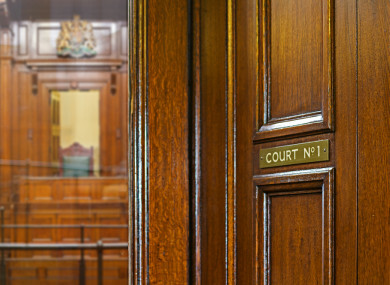 It is not necessary to approve counsel, for example, in a personal insolvency review case which is undefended, or where arguments made are straightforward or within the normal range of a solicitor’s expertise. “However, it is worth noting that in most civil law areas, including family law cases, for example, the Legal Aid Board practice is that junior counsel are normally authorised for Circuit Court cases,” they said. Advocates for people in mortgage arrears have expressed concern that the changes could create an imbalance in the strength of legal representation between the borrower and the banks or vulture funds. Senior policy analyst for the Free Legal Advice Centre Paul Joyce said this appears to be an “attempt to further restrict the use of counsel or barristers in Section 115a appeals”. The Section 115a review process allows debtors to ask a court to assess a personal insolvency proposal that has been rejected by creditors and which includes mortgage arrears on their home. He pointed out that the number of legally aided appeals (805 over two years) in the scheme was “quite high” and in the first year only 33% of these were successful. There was an improvement in the second year, with 64% of decisions in favour of the borrower. “I don’t know the reason for the change [with legal aid funding] but it could be related to the expenses involved weighed up against the likelihood of success [36% fail rate last year]. Obviously it would be a very negative development if insolvent debtors whose applications have been refused couldn’t get access to the kind of expertise needed to make a case. It’s hard to say looking at the new circular how it will be applied in practice. If these applications for legal aid are subject to the same “rigorous” merits test as requests for legal aid in possession cases, it could cause problems for debtors, he said. In most possession cases, the State will only provide a voucher for legal advice through the Abhaile scheme, it will not cover the costs of in-court representation either by a solicitor or a barrister. Joyce said there is an “irony” in funding solicitors for personal insolvency arrangements but not for possession proceedings. “We are seeing now with the sale of loan to vulture funds, cases are coming up with problems around the calculation of arrears. Sometimes the information in grounding affidavits of a civil bill for possession is questionable in how it’s framed and what it contains. In many of these cases the debtor will not have a solicitor to spot these errors in the documentation or a solicitor to argue it out in court. CEO of the Irish Mortgage Holders Organisation David Hall was also critical of the Legal Aid Board’s decision. He said this move will “take away power for those in mortgage arrears and give it to the banks by diluting legal aid given”. He pointed out that in these proceedings banks and vulture funds are “armed with full legal representation” with solicitors and junior counsel in every case and sometimes even senior counsel. Hall also pointed to the reduction in fees for solicitors, personal insolvency practitioners (Pips) and barristers (if they are approved) as part of these new terms and conditions. “You’d question whether it’s worth someone’s while doing it,” he said. Hall said he believes this move will “lead to move families losing their homes”. The department’s spokesperson acknowledged that many personal insolvency review cases do raise complex questions of law. They said the minister has “underlined the priority that he attaches to the good work being done under Abhaile and to ensuring that the personal insolvency review can function effectively”. Email “State will no longer automatically pay for barristers in personal insolvency cases”. Feedback on “State will no longer automatically pay for barristers in personal insolvency cases”.